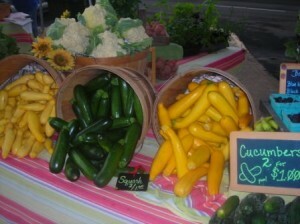 Looking forward to another great Saturday at the New Albany Farmer’s Market. We will be under the pavillion at the corner of Bank and Market Streets from 8-1 in beautiful downtown New Albany, Indiana. Hope to see you there! We will have plenty of veggies on Saturday, new potatoes, green beans, zucchini – both green and golden, summer squash, beets, green onions as well as a new crop of “candy” onions. 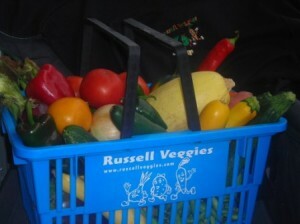 Swiss chard, broccoli, cauliflower, cabbage, cucumbers and we may still have a few fresh peas available. We will have plenty of home grown tomatoes. We will have blueberries this Saturday and have started picking the first peaches of the season. Of course these are not the free stone variety, but they are delicious. Don’t forget we have farm-fresh, free-range eggs available; pick some up at the market as well.